Sacramento Regional Transit Watt 1-80 tranist center. (WALKSacramento). February is National Heart month! The easier it is for people to walk, bike and get out their cars, the healthier their heart can be. The relationship between the built environment and our health is clear, so it is important that our communities support healthy living. 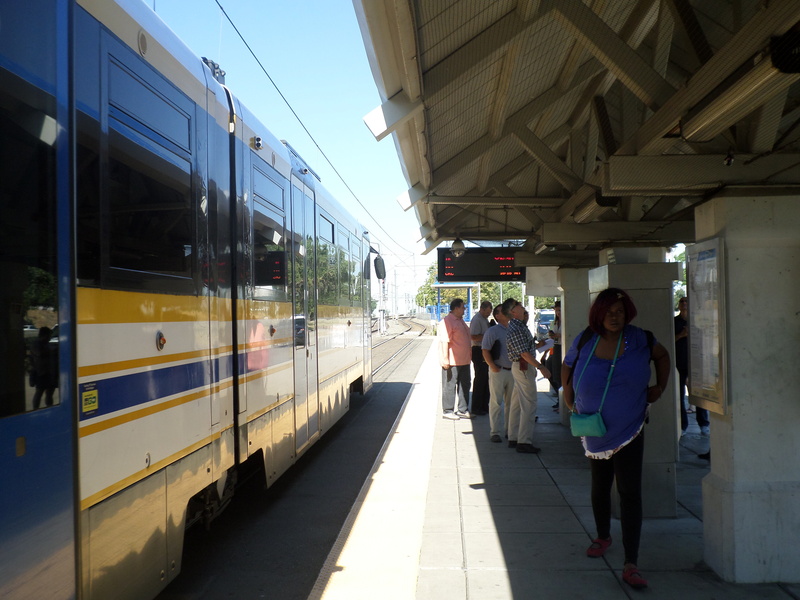 The WALKSacramento team has been reading new research that ties public transportation to health, safety, climate change, and more. A new study released by the University of Illinois studies data from 2001 to 2009 that provides further support to the claim that increased use in public transportation results in a decreased obesity rate. This new study is able to control for more factors such as weather and physical geography and analyzed data on a county level. Due to the jurisdictional level of analysis this study cannot speak to the implications this study has on the individual. One of the researchers is interested in how ride sharing devices will influence this data moving. But this report highlights that investing in public transit is not only good for the earth but for public health. Read the study here. Seattle is adding crosswalks and asking questions later in their new approach to installing crosswalks. The national trend in crosswalk policy is monitoring how many pedestrians cross a given intersection and then installing the crosswalk if the number meets the predetermined threshold. Seattle is adding crosswalks and then doing the threshold counting. This is a proactive approach to walkability that encourages safety first. The program was successful at Ballard Avenue and the City engineers hope that this will help change the national dialogue about crosswalk installation. Read more about the article here. This week on Capitol Hill an ambitious bill was introduced by Rep. Ocasio-Cortez and Sen Ed Markey to tackle the mounting problems our nation continues to face. The Green New Deal is a non-binding resolution, meaning that it does not create new programs but rather just can catalyze the national discussion about solution to climate change, healthcare and the economy. An integral part of the Green New Deal is an electrification of the infrastructure system in place and high speed rail. While transportation is undoubtedly a key to mitigating climate change the transportation solutions as proposed in the Green New Deal may not be the most efficient or equitable national solution. This ambitious is a necessary undertaking of the national government because it addresses the questions that we as a nation will have to answer in the coming years, how do we combat climate change. Read the resolution and more here.